Meet Frances, our modern day VW Transporter Wedding Car. 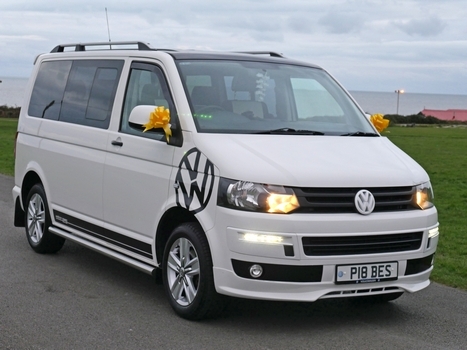 This VW T5 Transporter Wedding Car is fast becoming a cult vehicle with youngsters of today. 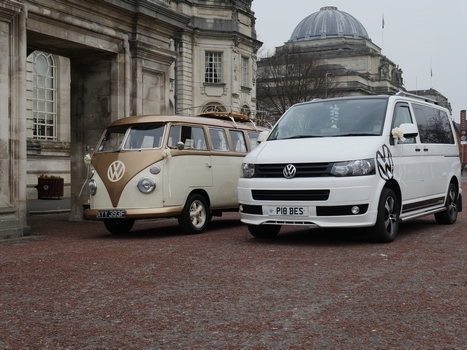 We have gone a step further with ours, basing her on the Special Edition 25 model. Frances is finished in Candy White and Gloss Black and the white matches that on the upper body of our campervan Nancy. 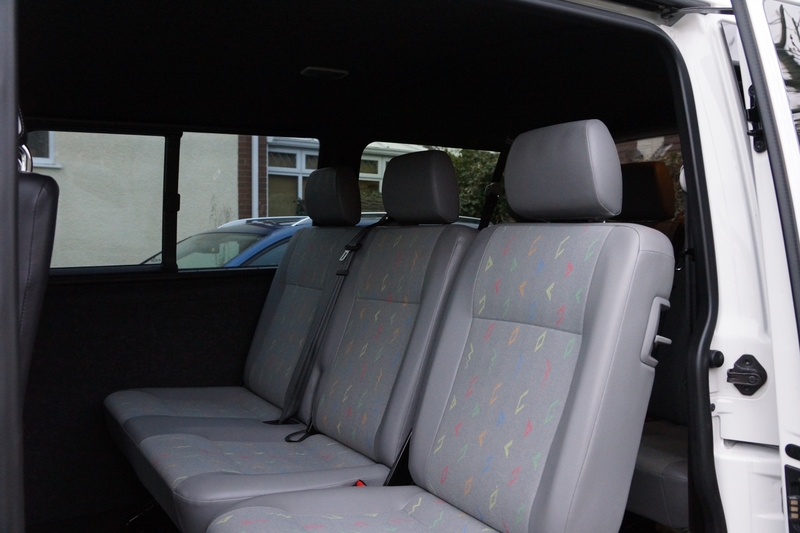 Fully carpeted and sound deadened throughout, she has a wicked 7 speaker sound system with base and amp. 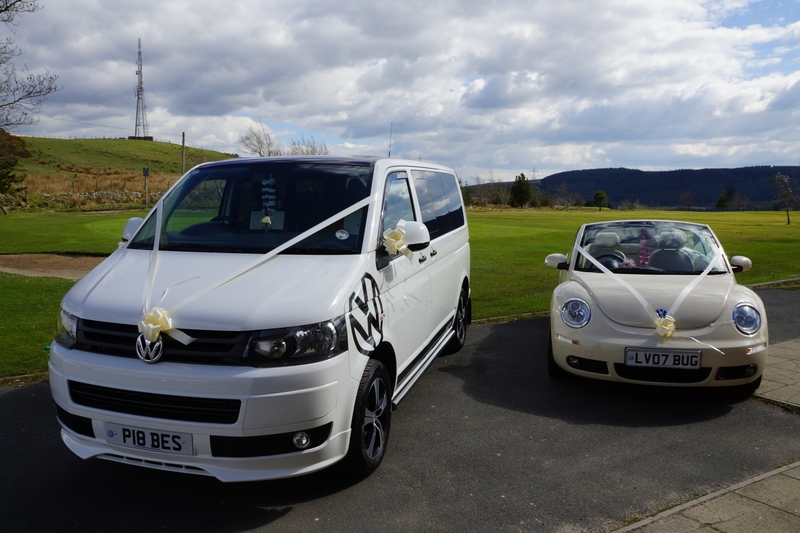 You will be able to listen to your very own choice of music en route to your wedding venue. 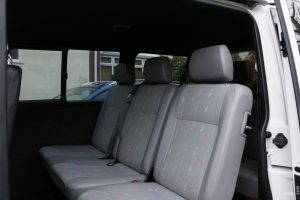 Frances seats up to 7 people in real comfort and all with 3 point seatbelts. 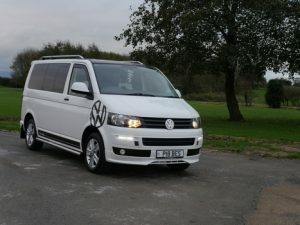 She is a fantastic wedding car hire option for the groomsmen, bridesmaids or any other guests of your wedding party. We offer amazing prices on this VW ! Want to book Frances, our VW Transporter Wedding Car?